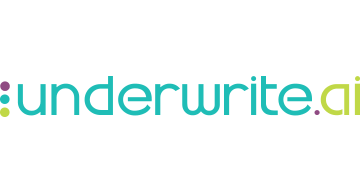 Underwrite.ai applies advances in artificial intelligence derived from genomics and particle physics to provide lenders with non-linear dynamic models of credit risk which radically outperform traditional approaches. Unlike traditional models of underwriting which focus on only a handful of credit attributes from a major credit bureau; we combine the results of a consumer inquiry with hundreds of other attributes that allow you to accurately model risk for traditional borrowers and the unbanked at all levels of risk from deep subprime to A+. We accurately return a probability of default or profitability for your potential borrowers. Because we are using biologically based machine learning techniques applied to your own portfolio; we model the expertise of your underwriters and the past performance of your loans to return an automated decision typically in less than 2 seconds. If you have no portfolio data, we have models based upon large quantities of existing datasets covering everything from home mortgage and automobile to peer to peer lending and cash advance.